American Express has teamed up with Nick Knight, a fashion photographer, to launched a real-time photo exhibit on Twitter. As part of the collaboration, the master will be capturing whatever attracts his eye around his home in West London —the focus will be made on “hidden inspiration.” The effort running under the #MySecretCity hashtag, which is also its tagline, is rolling out on July 3. Knight’s photo pieces will be immediately uploaded to the Twitter feed of the @AmexUK Twitter handle under the #MySecretCity campaign. Twitter is not the only platform where the collection will be presented—the brand will also upload the visual works to the photo gallery on Facebook and Instagram. 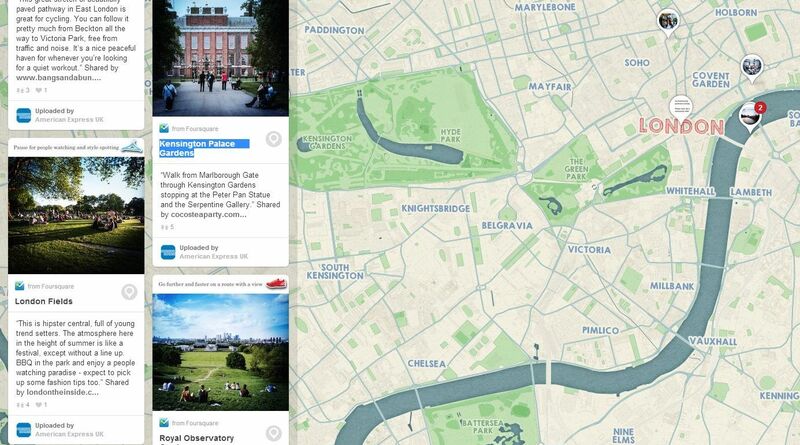 The idea to create a real-time digital exhibition on social media is inspired by finding of a study conducted by American Express—it revealed that Brits are using an autopilot when are in the city, and actually turn “urban blind” and don’t see the beauty in their day-to-day surroundings. The effort launched as part of AE’s ongoing Realise the Potential campaign amplified with a map of London’s top inspirational spaces, developed by American Express in a creative tie-up with a team of UK bloggers. The map is already available on Pinterest and includes Kentish Town City Farm, Lee Valley VeloPark, Kensington Palace Gardens and more. “The cities we live in are brimming with potential, although we may only appreciate a fraction of what they have to offer. As a fashion photographer, Nick has consistently challenged conventional notions of beauty. Now we’re challenging him to re-imagine his commute to work and take a look at other sides to London, those that often go unnoticed in the hope that they inspire others to realise the potential of their city,” commented VP of brand and communications, American Express, Melissa Weber. Posted in Marketing, Social Media and tagged American Express, art project, digital campaign, Twitter, UK. Bookmark the permalink.